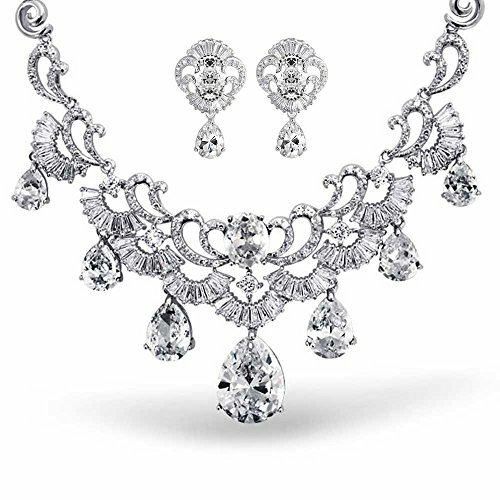 Head turning from every angle, this CZ bridal necklace set is as elegant as it gets. Designed in Art Deco style, this April birthstone jewelry is a perfect pick for bridal jewelry or any fancy party. The matching drop earrings add a sophisticated touch and glam cubic zirconia jewelry will frame her face in style for her wedding day and beyond.